In my piece on the California bungalow, I mention the idea of a country seeking a national style. It’s an interesting one, I think, especially for new countries like Australia whose early architecture was imported wholesale from a country with a totally different climate. 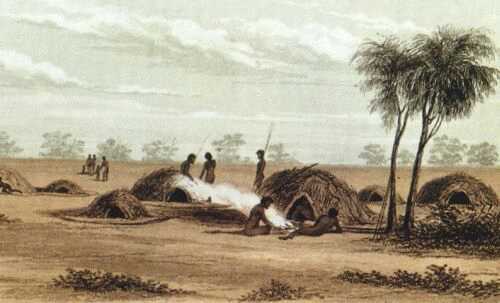 In older countries, architectural styles have evolved organically from the earliest covered dwellings and because of that there are notable differences in different parts of the same country. In Britain, for instance, particular building materials show the availability of that material in the area, from the golden glow of Cotswold stone to the use of flint in East Anglia. 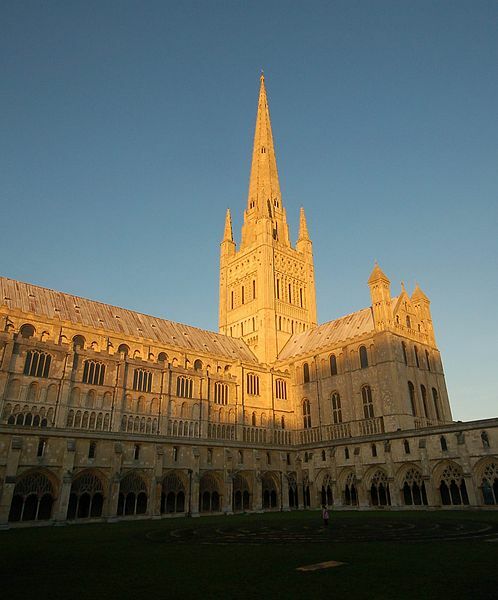 Studying Norwich cathedral in my first year at university, I was surprised to learn that the smooth limestone that dressed its slender Norman pillars (ashlar masonry) was not local or even close to local but shipped over from Caen in northern France. As the cathedral was started not long after the Norman Conquest in the 11th century, the Norman masons obviously preferred to use a material that they were familiar with. If local materials had been explored then it might have been a very strange mix of flint, brick and wattle & daub. 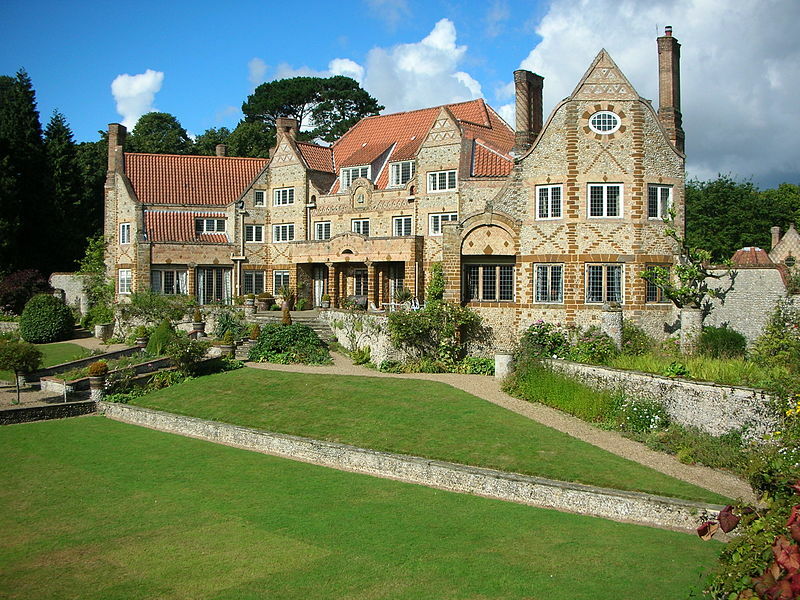 The idea of the vernacular was explored in Britain by the Arts and Crafts architects of the nineteenth century who liked the local styles for their authenticity (a key word in the Arts and Crafts movement). Certainly there was more variation than in the straightforward Classical or Gothic styles that were used predominantly in public buildings. 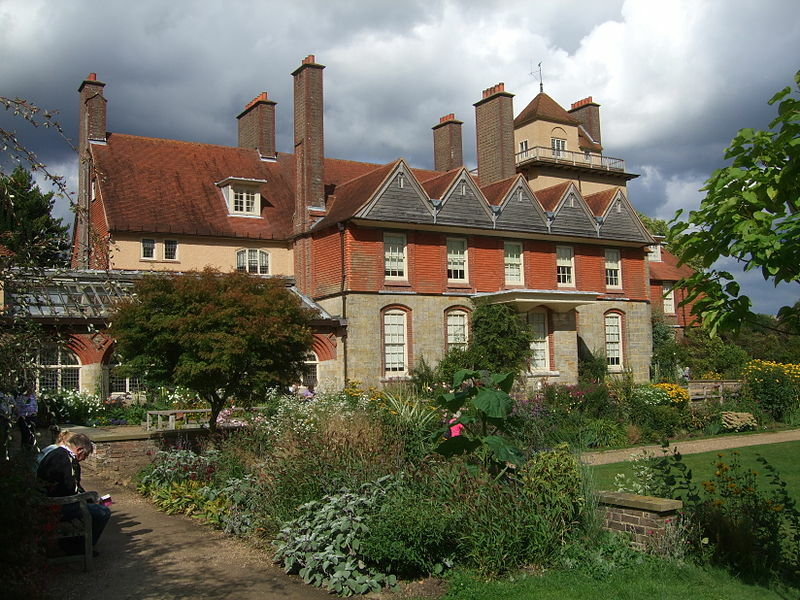 And so one finds in the large houses of the period, such as Phillip Webb’s Standen in Sussex or ES Prior’s Voewood (formerly Home Place) in Norfolk, many elements found in the local buildings, such as tile shingles or flint-dressed walls. A local rather than a national style. The Gothic versus Classical debate was the architectural style war of the nineteenth century. 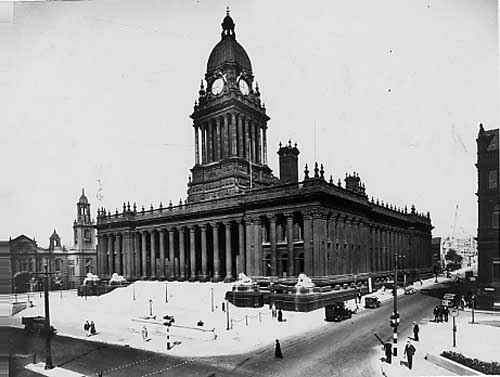 The result is visible throughout Britain in the town halls of the industrial cities, showing that there wasn’t a clear winner. For instance, the ones in Liverpool and Leeds are Classical whereas those in Manchester and Bradford are a rather inflated Gothic, not unlike the Bavarian castles of ‘Mad’ King Ludwig of the same period. 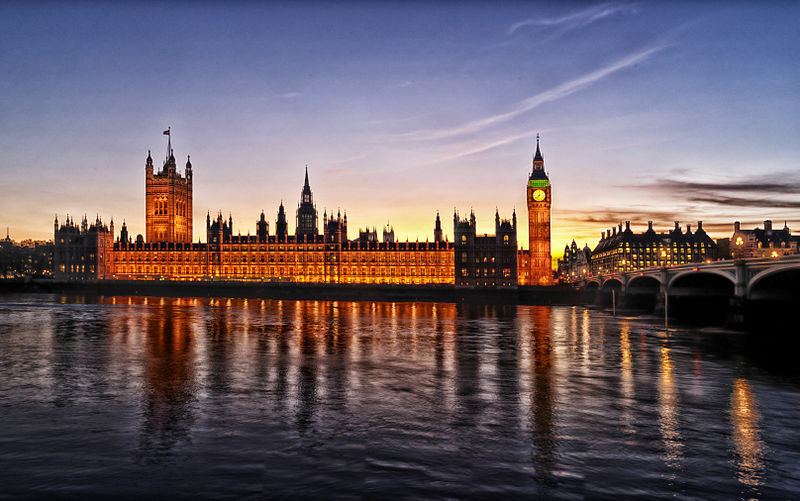 The most famous debate surrounded the building of the new Palace of Westminster in the 1840s after a fire in 1834 gutted the old buildings. The winning design is clearly Gothic. And yet, as Kevin McCloud demonstrated in his TV series on the Grand Tour, it is actually a Classical plan (balanced, symmetrical) that is simply covered with Gothic tracery and pinnacles. Is the idea of a national style still relevant? Certainly the Modern Movement swept the idea to one side along with other traditions. Flick through a book showing the latest domestic designs and it is hard to place the country in which the house stands without using the visual prompt of its surroundings. 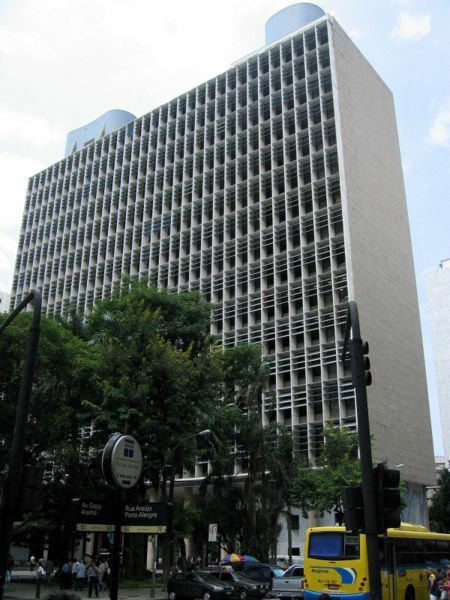 You only need to look at the old Ministry of Health & Education building in Rio de Janeiro, designed in the mid 1930s by Le Corbusier and a Brazilian team, including Lucio Costa, to see why Philip Johnson coined the term International Style for the Modernist styles that were appearing in all countries. And yet there are little features that still give hints of a national style, or a national preference at least. Windows, for instance – the majority of France’s still open inwards, Britain’s outwards, and Australia’s slide. The Australian Glenn Murcutt is famous for making corrugated iron acceptable in this country’s housing landscape, even in cities, each following his lovely imperative to ‘touch this earth lightly.’ They have become the look of Australia, recalling the woolsheds and farm buildings seen across the land. In South Australia and Tasmania one finds stone still used but these are exceptions. I like the idea of national characteristics and utilising local materials. As for a national style, well, Hitler was keen on that and for that reason alone, I think it’s best to stop the debate right there. What a wonderful imperative, to ‘touch this earth lightly’. I have never heard of Glen Murcutt, is he an architect? If so, what other ‘touches’ did he bring to Australian design? 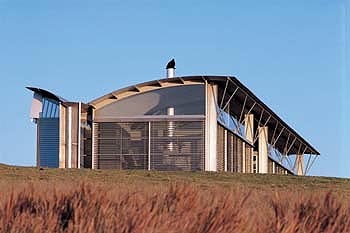 Have a look at this to see more of his projects: http://www.ozetecture.org/glenn-murcutt-projects/. This team also includes architects like Rick Leplastrier and Peter Stutchbury, who again follow this wonderful slender aesthetic that fits in so beautifully with the Australian landscape. Yes, it’s funny about windows. Confession: for some time I used to watch Swedish TV (i.e. Wallander) and wonder why the entrance doors opened outwards. And then I saw an episode set in the dead of winter where the door pushed away snow that had banked up against the door in the night. Ah…Or perhaps d’oh! is more appropriate.